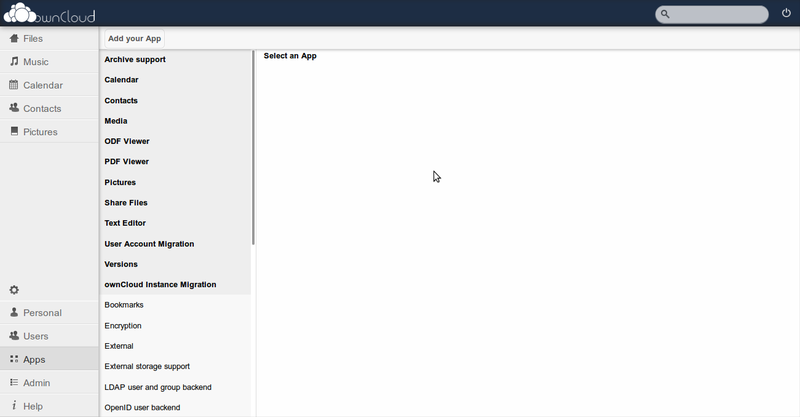 owncloud 4 has been release by ownCloud developers team, is a free and open source software alternative to some proprietary web services that you can install on your own computer or server, which includes file management with built-in file sharing ike Dropbox, music streaming, calendar, contacts and more. Major changes in ownCloud 4 include support for file versioning, allowing users to restore previous versions of a file or view a files history, and the addition of an integrated viewer for ODF file. 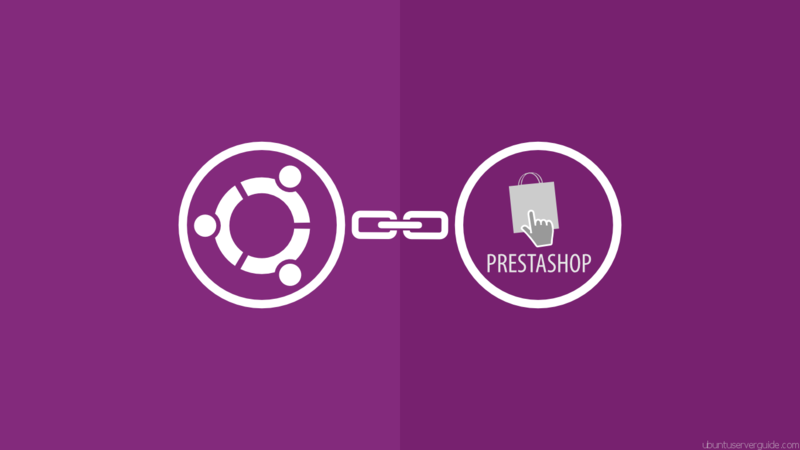 Versioning : With this feature enabled, it is possible to restore an older version of a file. A core advantage here is that you can configure the versioninig feature, which you can’t do at third party cloud hosting and synchronization services. Encryption : You can now configure file encryption so that all files stored on the server are encrypted, and thus only accessible with the correct password. 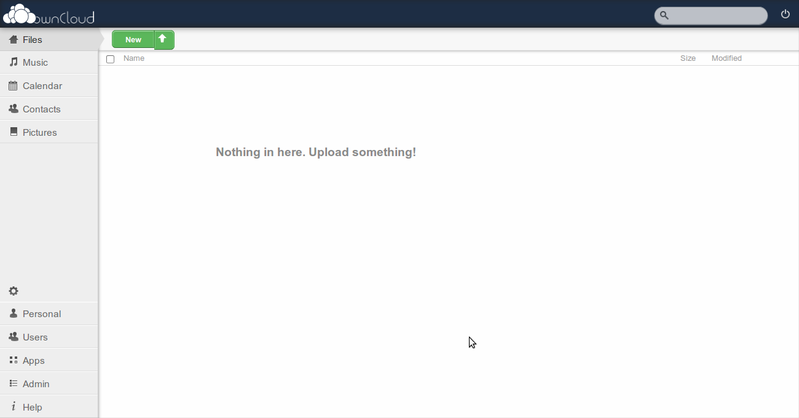 Drag and drop upload : The ownCloud web service now supports the dragging and dropping of local files to a directory on the server. ODF Viewer : Open Document Format files are now supported by the viewer, and can be read right in the web browser without the need for plugins or programs. 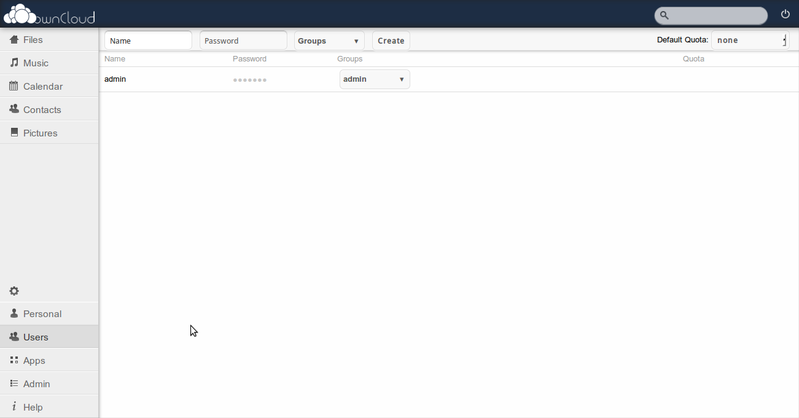 Themes : If you do not like the look and feel of the ownCloud site, you can now theme and style it yourself, or install a theme created by others. Application Store : This makes it easier to install new applications, like the encryption or versioning application on the server. 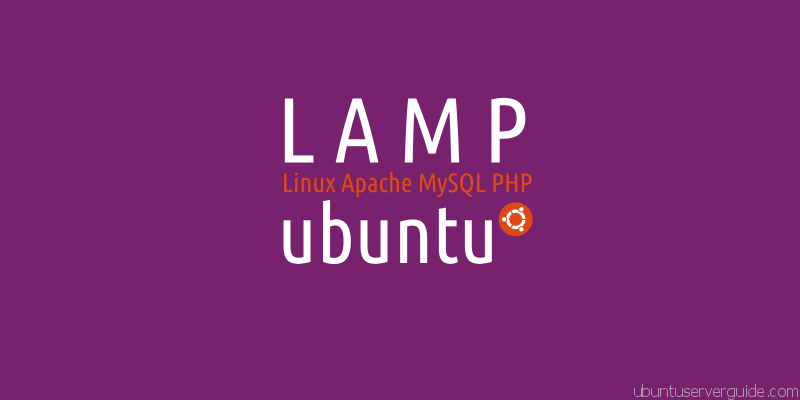 LDAP / Active Directory : Admins can manage users and groups from LDAP and AD. Migration : Options to migrate user accounts between different ownCloud instances, for instance between a primary and backup server. Tasks : A to do list that is synchronized automatically. File Notifications : Users can now be notified when files are shared with them. Galleries : Control over galleries have been improved, including sharing per email options and sort oders. 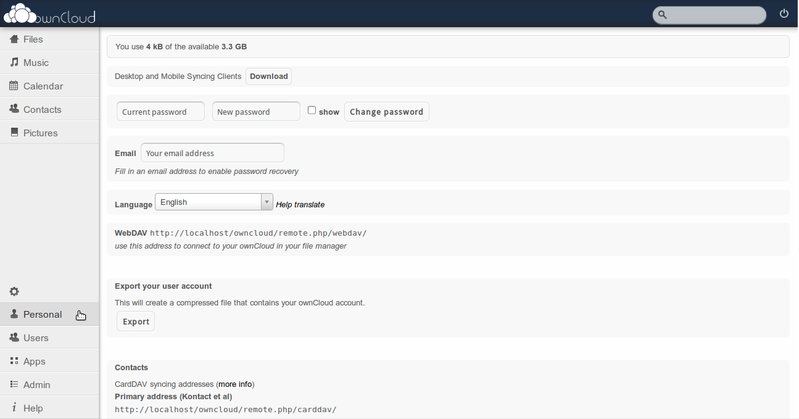 Before installing ownCloud you can try ownCloud Demo at http://demo.owncloud.org/. Step 5. 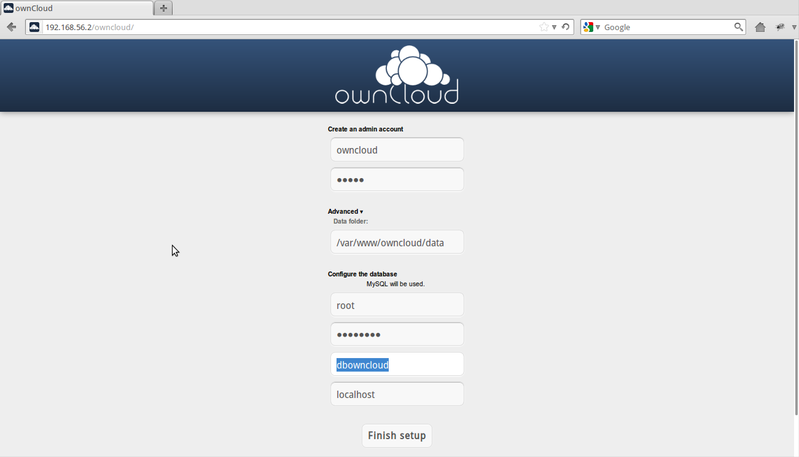 Now, Open your browser to configure and create admin user owncloud. 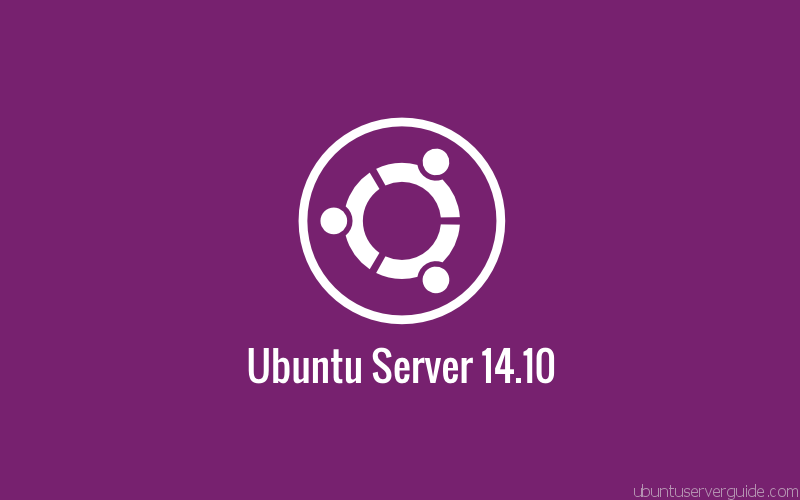 Related Post "How to Install ownCloud 4 in Ubuntu Server 12.04 LTS"
Thanks for your very illuminating post, is very clear and easy to follow, but I have some problems with the dependencies. After various failures I find a working combination of packages. how i can upgrade new version 4.5.4 or do to new installation? 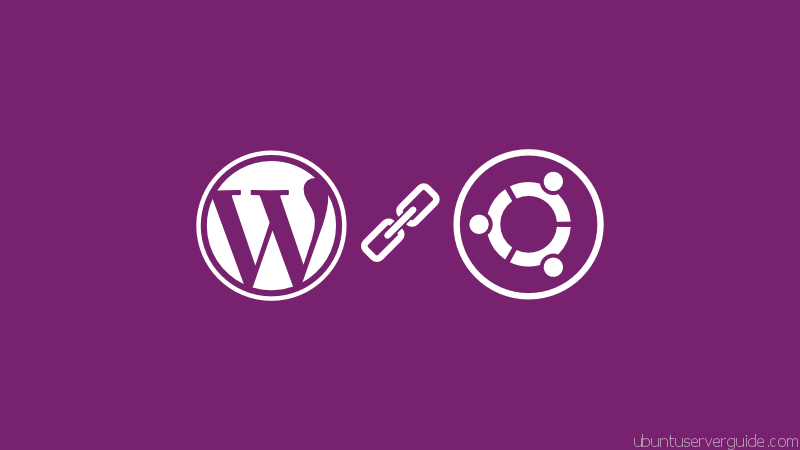 any thoughts on installing an ownCloud client service with no GUI on ubuntu server?